This class is designed for those who have taken the Introduction to Meditation series of courses and other practitioners, this class is centered around Ed Brown’s collection of lectures by Suzuki Roshi, the founder of San Francisco Zen Center. Lectures and discussion enrich every practitioner’s experience with the text. 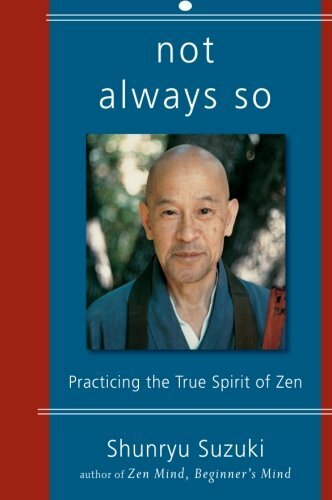 Copies of the text, Not Always So: Practicing the True Spirit of Zen, a collection of talks by Shunryu Suzuki Roshi, are available for purchase at the Zen Center. Tricia is the President of the Board of Directors of HZC. She holds a PhD in American Literature teaches American and World literature courses at Awty International School.